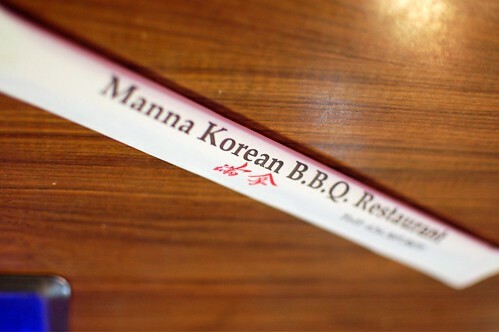 There's a little place called Manna Korean Cuisine (2101 San Gabriel Blvd., Rosemead) that my co-workers and I occasionally visit on Fridays for lunch. 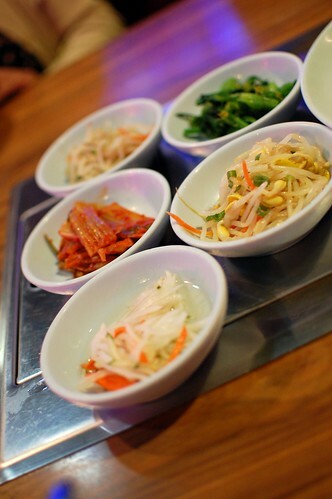 It's not to be confused with the all-you-can-eat meatfest, Manna Korean BBQ, that many of us know well. Why Fridays? 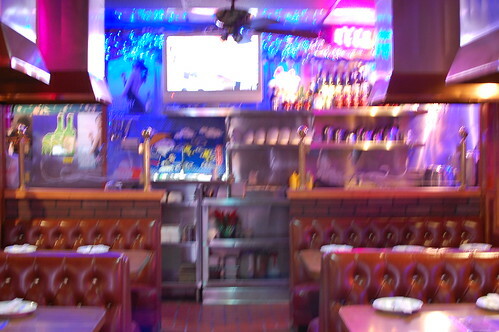 That's the only time this weird neon-laden place is open for lunch. 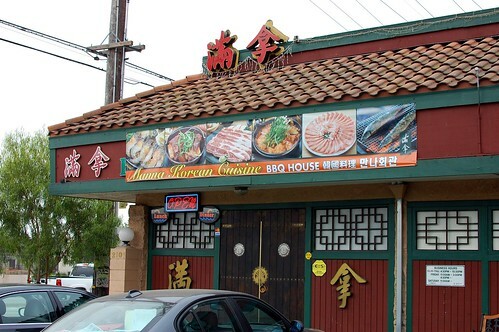 The restaurant is decently priced and conveniently located if you're in the San Gabriel Valley, although the food is nothing special. But it's Korean. And that's something. I can only do so much Chinese and Vietnamese on a near daily basis. Manna knows its clientele. These are Korean peeps who speak fluent Mandarin. Decent enough that I've gotten it more than once. I like this. It won't be the best you'll ever have, but it makes for a nice midday treat. I'm a big fan of rice cakes. It doesn't matter in what form. 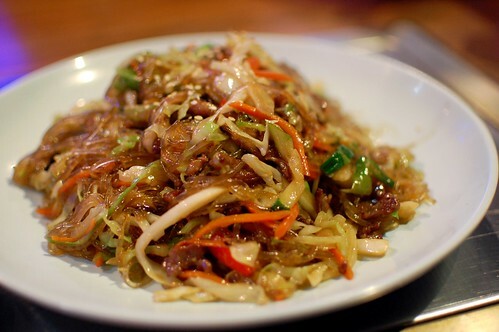 Like the chapchae, these aren't the greatest, but they're a fine way to get your spicy rice cake fix during a workday. If you happen to be in the area in the middle of a Friday, Manna is an ok option, but I wouldn't recommend that you make a special trip any time soon. One of my mom's coworkers has been supplying us with homemade chapchae, which has kind of spoiled me from eating it out anywhere. 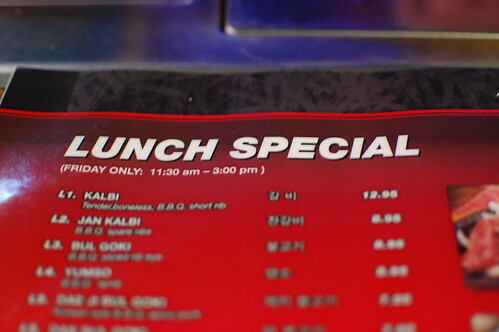 only open for lunch on fridays? WTF? i love that soup when my mom makes it. 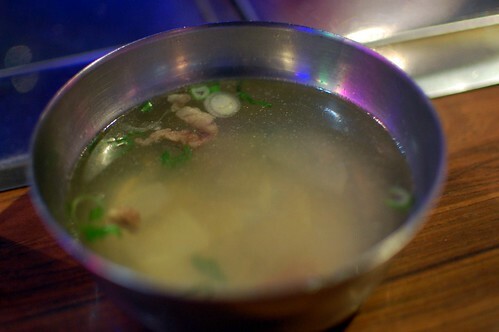 most restaurants don't skim it enough, so it ends up greasy. meh. this is one of those places where after you stop going bc it's no longer nearby, you think ahh yeah. i kinda sorta miss that place. but while you have access to it, it's just whatevs. I eat at these types of places all the time. Lots of food for lunch. I'd have to take a nap under my desk a la George Costanza. This place is HORRIBLE. I'm sorry you had to experience it. Shoulda texted me first. I don't think it's HORRIBLE. I think it's ok. When it comes to office lunches, sometimes "meh" just has to do. I was here for dinner in the spring and the bill was pretty high compared to the small portions. The kalbi was sliced nice and thick. Like eating marinated steaks. They've been in business for 20 years though so that's gotta count for something? 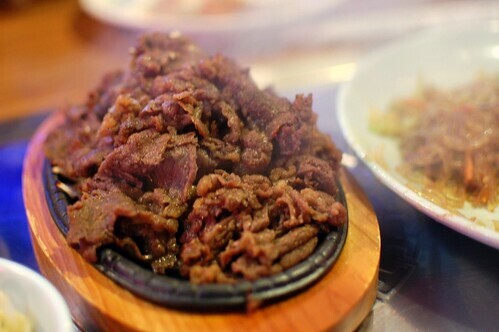 I really wish there were more Korean places around me. I love that stuff. I'll take mediocre Korean bbq over none at all. Re: Insomniac's response... I die. Love me some Seinfeld, and naps under my desk would be such the job perk. 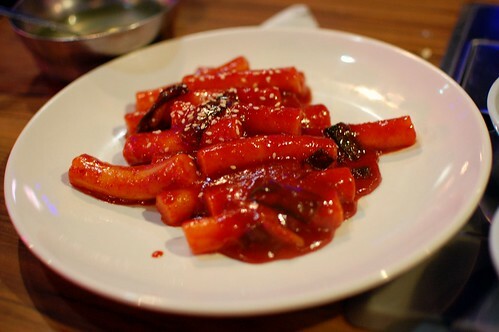 Anyway, although I am a mediocre cook, I think my Tteokbokki looks way better than that. It makes me feel good to think about that, hehe. At least you have cheap lunch options around you. i'm sad that this seems to go against the whole "if the homelanders go there, it must be good" theory. No, it doesn't. The clientele is predominantly Chinese, not Korean. Hence, the Mandarin-speaking Korean proprietors.